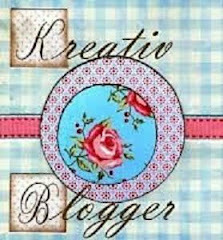 I was surprised to learn that I have received the Beautiful Blogger Award from Honor Crowned Creativity. I think this is a creative award because it's not just about the blog, but about the person who blogs. 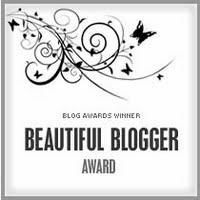 I get to pass the Beautiful Blogger Award on to other fabulous bloggers. There are two rules when given the award. 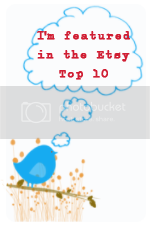 I tell you 7 things about me & choose 7 blogs to receive the award. 1. I love cars. I think they're an expression of who we are. With that, I name all of my cars. When I was sixteen I shared the family car which was blue, so I called her Blue Belle. Then I got a maroon car I called Cherry Blossom. Then I had a jade colored car, named her the obvious, Jade. And then my latest is Gus. I drive a black Pontiac Aztec and it took me a few weeks, and all of a sudden, it stuck. I call it the identity crisis car. I thought they were ugly, still do, but when you get inside you forget that ugly box you're driving. I refer to him as a person. I'll tell someone "I'm taking Gus to the shop for an oil change." A little odd I know. But sometimes cars have personalities too! Please don't report me to the loony bin! 2. I'm originally from Kansas City, Mo. About a year and a half ago, I moved down to Dallas, Tx. I came by myself and knowing no one. I moved for a job. I'm told all the time that I was brave to do that. I'm a little too independent for my own good sometimes. I love Dallas, and I'm glad I finally got the chance to live here. But I know I'll end up back home. Miss the Midwest and their way of life. 3. I am enamored with the sea. Went sailing once with what I now call the renegade cowboy sailor. Sailed from Miami heading to Nantucket. Only made it to Savannah, GA. The steering broke and I was not happy with the guy taking us out over 250 miles into the gulf stream. Huge Freighter radioed us and cussed us out for being on such a small boat too far out to sea. I knew then, I was in trouble. Didn't help that I got tossed around the cabin and went head first into the stove and split my nose open the first 2 minutes out to sea. Now I have the scar to remind me of my crazy adventure every day. 4. I wanted to be an orthopedic surgeon since late grade school. I wanted to help people like my dad who had trouble with their joints and back. But then I couldn't get through my first month of physics in highschool. At the same time, I was excelling in a position on the school newspaper as advertising director. I was recommended for the job. I won an award at the Missouri State Competition. So before I knew it. I dropped Physics and added more journalism courses and switched to advertising/marketing as my profession. I even won a scholarship in a late students name. What an honor and I think of it often. So here I am now, a marketing manager. 5. I love to read. Some of my fun reads are John Grisham and Patricia Cornwell. Like a good mystery. Makes me think and I like that. My shameless obsession is Danielle Steel. So much fun. And yes, I even cry sometimes. I've been known to throw a book too when I was done. But my literary favorite is Edith Wharton. She wrote the Age of Innocence and Ethan Fromme. Her writing is full of symbolism and expressing the dynamics of women and men. She's a classic and I recommend her. She's a 1900's turn of the century author. 6. I was a nanny for 6 kids for 11 years. I was brought on board when baby number 4 was to be born. The oldest siblings were 3, 2, 1. I stuck around for 3 more babies! I'm extremely close to all of them. I think since I was able to get my bluff in them at such an early age I'm not exactly a babysitter. They have said I'm like a mom, but much cooler. I thought that was funny. Veronica 15, Sean 14, Molly 13, Jack 11, Jamie 9, and Vaughn 7. I would say I'm a patient person. And what's important to me is that they still talk to me and now it's the bigger important things in life for the older ones, but they feel comfortable enough because "I remember what it was like to be a kid." That means a lot to me. The 3 younger ones are so attached to me. When I go up for visits there's a big fight on who spends time with me first. It's so nice to feel loved. I adore each and every one of them and they keep me grounded. 7. I'll keep this one short because I can go on and on with details. I went sailing once from Miami to Nantucket. But the steering broke some 250 miles off the coast of Georgia. We were able to jimmy rig an elbow like thing to the main steering column below the floor. I steered that boat 250 miles to Georgia, while the "skipper" slept down below. Took us 2 days to get to shore. We anchored in Savannah, and I got on the first plane out. 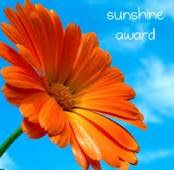 Thanks for passing on the nice award!! 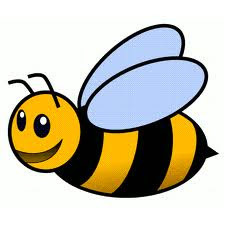 I love your 7 things about you, you're funny!